During a panel at the annual Star Wars Celebration taking place this year in Chicago, the cast and crew of the latest Star Wars saga (including J.J. Abrams, Daisy Ridley, Kelly Marie Tran, John Boyega, and Oscar Isaac) helped unveil the first teaser trailer for the now-titled, forthcoming Episode IX film. Entitled The Rise of Skywalker, the trailer is nothing short of instantly iconic, and we see a lot of familiar faces from the franchise, including the late, great Carrie Fisher, Mark Hamill, and Billy Dee Williams reprising his role of Lando Calrissian. The Rise of Skywalker may not hits theaters until December, but it's safe to say, the fans are LIVING and EXCITED AF! 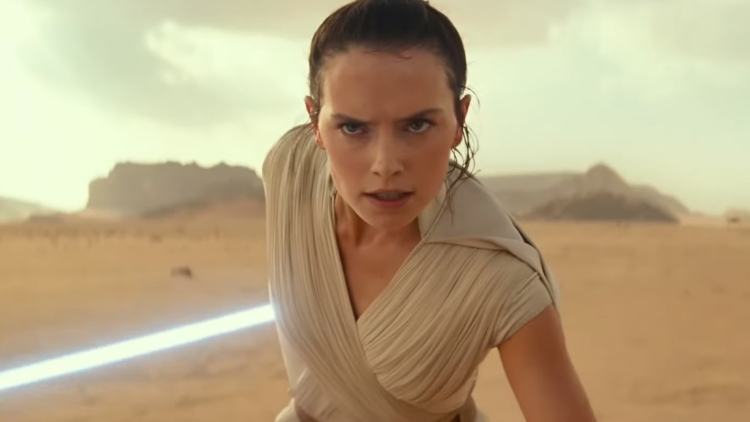 Watch the first, epic teaser trailer for Star Wars: The Rise of Skywalker in the video below!